An equestrian breastplate is a piece of horse equipment which used to keep the saddle from sliding back. When riding in cross-country it can be regarded as a safety feature. On horse shows and other equestrian events, breastplates can be used to complement the horse equipment. 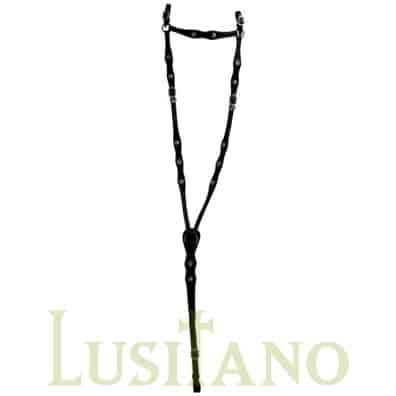 Existing horse breastplates available are detailed below where you will find a range of traditional leather Portuguese and Baroque breastplates which are handmade in Portugal and from the Lusitano trademark.